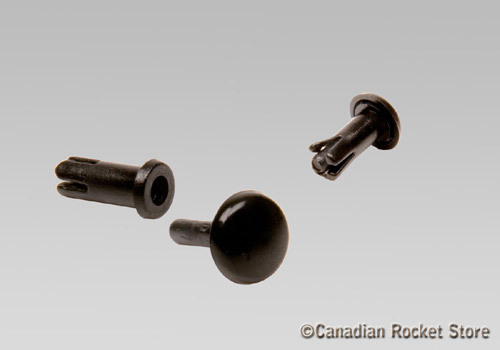 These 2-piece Click-Lock plastic rivets allow you disassemble your longer/larger rocket and quickly put it together again. These rivets can be easily taken apart and reused again. The rivets are 1/4" long and can be used for a 3/16" wall.